The School of Arts and Sciences honored its best students and their families at ceremonies on both campuses last month to recognize their achievements. “LAU is our pride, but excellence is our passion. And we are here today to celebrate excellence,” said Nashat Mansour, dean of the School of Arts and Sciences. The event honored students who completed a certain number of credits with the highest GPA; those who completed the best capstone project; those who demonstrated the best improvement in GPA; and those who initiated or actively participated in civic engagement projects. Mansour said the greatest reward for faculty and staff was seeing students excel by acquiring knowledge and values of professionalism, all being based on hard work, persistence, perseverance and perspiration. He thanked the parents for their sacrifices in the service of their daughters and sons. “Education is the most powerful weapon that we can use to change the world,” the dean said, quoting Nelson Mandela. Hawra Raoof, the Byblos campus valedictorian, spoke on behalf of her fellow students. “Life is yet to begin, and it is our duty to let greatness rest upon us,” Raoof said to a loud cheer from parents, faculty, staff and students. Natalie Mahmoud, one of two honorees to earn the highest GPA at the school in Beirut, echoed Mansour’s sentiment of excellence. Mahmoud said that excellence was never an accident. “It is a result of our ambition to persist, persevere and perfect ourselves,” she said. While Mahmoud congratulated her peers for their individual success, she said she looked forward to the day when everyone would be honored for collective success. Maria Sakr, the other student with the highest GPA, had her mother feeling prouder than ever. “This is fantastic and this is our reward as parents. To see them today makes us forget about all the sleepless nights, money spent and time spent on education,” Laure Sakr said. The best capstone projects in psychology, social work, multimedia journalism, TV and film, computer science and political science/international affairs were recognized. Department of Communication Arts Chair Jad Melki commented on the positive impact these projects had on students. “Through such projects, the student combines the various theoretical concepts, critical skills, creative and professional competencies and research abilities to develop an original piece or science and art,” Melki said. 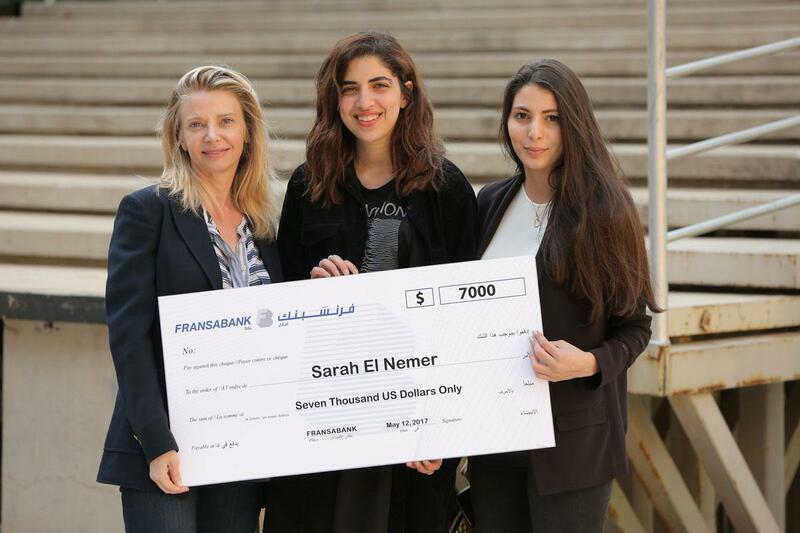 Sarah el Nemr was awarded a $7,000 grant to pursue a summer course at the Salzburg Academy in Austria, as a result of her first place in a video competition funded by Fransabank. A jury composed of Fransabank and LAU faculty held multiple discussions before voting on Nemr as the winner in March. Fransabank sponsored the competition last year as well, but for the School of Architecture and Design. 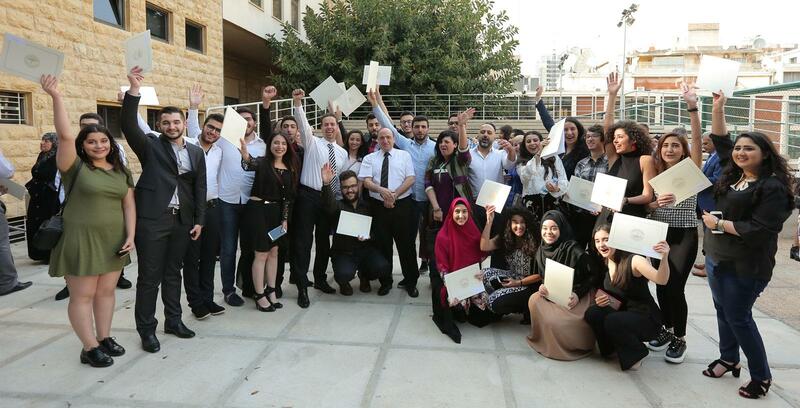 This was the third year the competition was held in Lebanon, which reflects the bank’s values in relation to youth, financial literacy, and sustainable energy.